Rainforest Hideaway is an amazing eco-friendly accommodation place deep inside the world's oldest rain forest, painstakingly handcrafted together by the owner over the last 24 years. 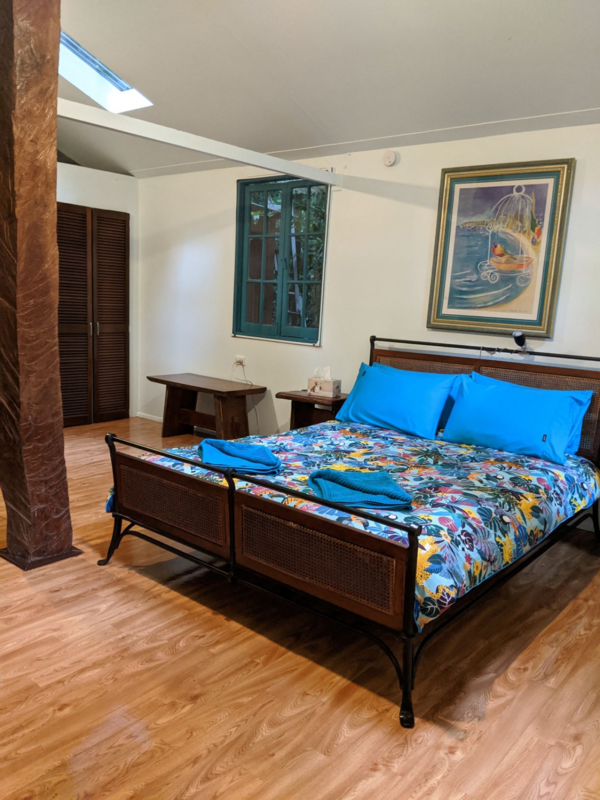 Located deep inside the ancient Daintree rain forest and within walking distance of the town centre of Cape Tribulation, beach, National Park boardwalk, restaurants, bars and shop, this is the perfect place to base yourself to explore the Daintree rainforest and coast. Many tours do free pickups from here, and we can help to arrange all local tours and activities for you. On our property you can enjoy a traditional Thai massage, you can explore the sculpture trail that winds around our five acre property, have a dip in our beatiful rainforest creek, and spot prolific wildlife such as frogs, birds, lizards and cassowaries. Rates include all linen, towels, coffee and tea, and free Wifi. 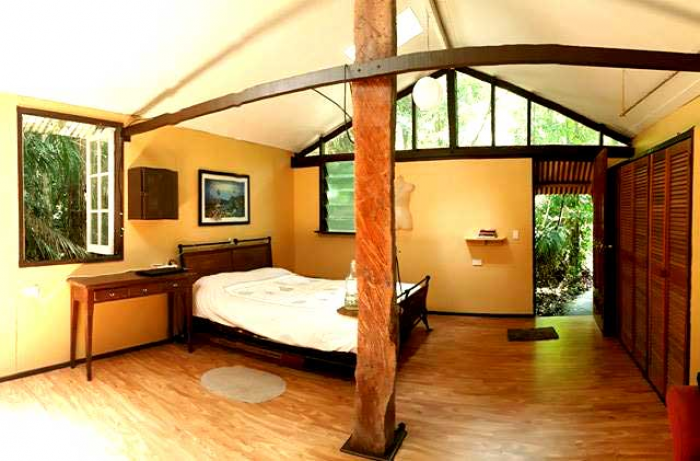 This cabin deep inside the lush Daintree rain forest is the ideal choice for couples seeking a private jungle experience to get away from it all. Located deep inside the oldest jungle in the world, with prolific wildlife and a great rain forest view from the back veranda. 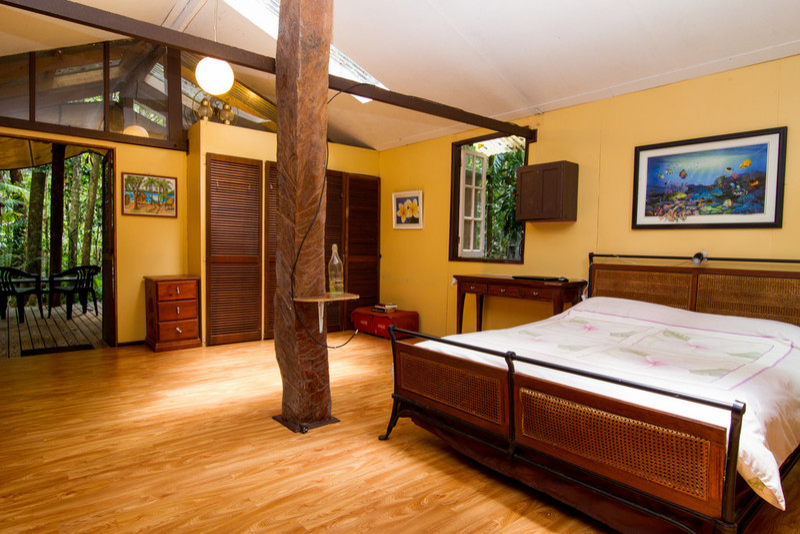 Spacious accommodation at 30 m2 inside with another 25 m2 of back veranda, open air shower and a composting toilet. Basic cooking facilities to prepare your own meals, onsite parking, and free wifi of 100 Mb per day. The property also contains a sculpture trail,a beautiful fresh water creek to jump in to cool down (not during dry season). Sorry, this one not available in Rainforest Hideaway on this night, try the other bungalow or the Jungle Treehouse if you are feeling adventurous. 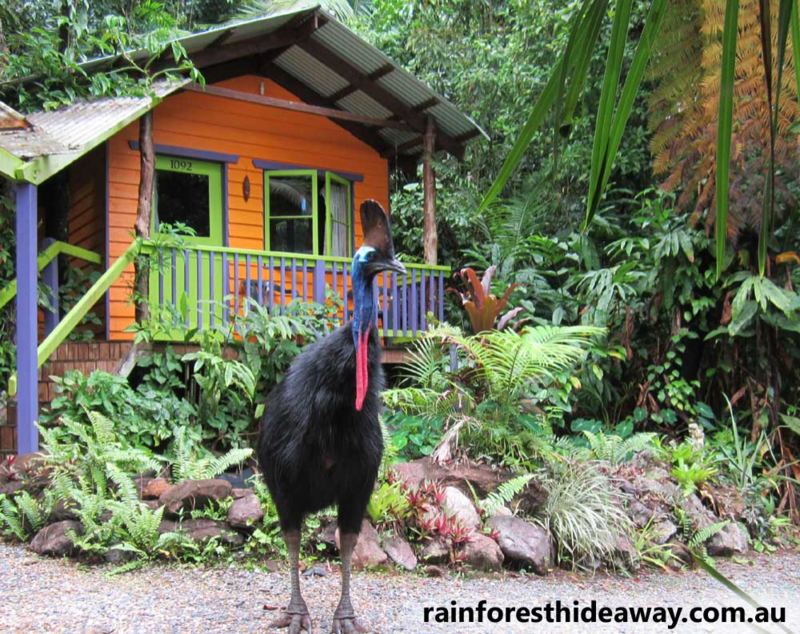 This cabin deep inside the lush Daintree rain forest is the ideal choice for couples seeking a real jungle experience to get away from it all, with prolific wildlife and surrounded by the oldest jungle in the world. Owner built accommodation using local materials, open air shower, a private walking trail leading to your own seating area, basic cooking facilities to prepare your own meals, onsite parking, and free wifi of 100 Mb per day. Rates quoted are per room (not per person) and include all linen, towels, coffee and tea. Sorry, nothing available in Rainforest Hideaway on this night, try the Jungle Treehouse if you are feeling adventurous. No availability in this one? See our Jungle Treehouse.